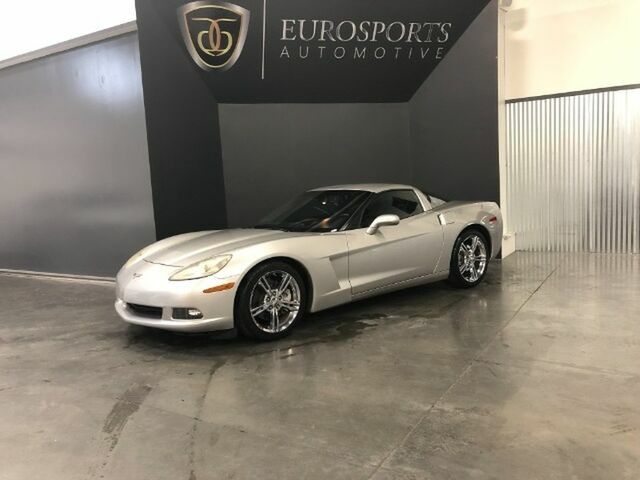 Eurosports is pleased to be currently offering this 2008 Chevrolet Corvette with 53,830mi. This 2008 Chevrolet Corvette comes with a CARFAX Buyback Guarantee, which means you can buy with certainty. This Chevrolet Corvette is for the discerning driver who demands the utmost of his vehicle. In addition to being well-cared for, this Chevrolet Corvette has very low mileage making it a rare find. More information about the 2008 Chevrolet Corvette: Chevrolet's 2008 Corvette coupe and convertible are flashy, fast sports cars, yet they're comfortable enough to drive daily in fair-weather places. The Corvette Z06 especially is one of the best-performing cars in the world, and makes various race-proven design features available in an affordably priced production vehicle. Relative to its performance rivals, all well over $100,000, the Z06 is a downright bargain at a touch over $70,000. The Corvette's various improvements and across-the-line power boost for 2008 make it an even better value. Interesting features of this model are flashy looks, Supercar-caliber performance, and racing-derived equipment (Z06).